Chess: represented Venezuela in more than 35 countries, winning prizes and awards in many chess competitions. Obtained the title of Women International Chess Master at the age of 19 by The World Chess Federation F.I.D E. Carolina was Two time Pan-American women champion, and was for 10 years standing among the highest ranked players in the Americas. Carolina learned how to play chess at the age of 5 and started to compete in National and International chess tournaments at the age of 7. She has played in the high competitive chess since her childhood. Her Venezuelan National Rating peak was 2230 points and her International Rating peak was 2192 points being awarded multiple times in the top positions in National and International Championships at all ages from the scholastic level until the Adult Master level. These events include: Chess Olympiads, Zonals, Open events, Pan-American, Center-American, World Cadet, Youth and World Juniors and Girls championships. 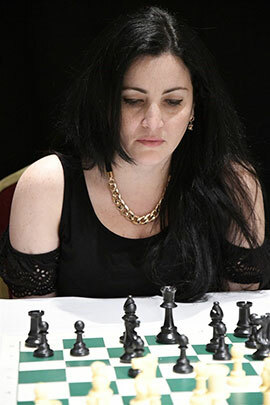 She was a member for more than 10 years of the National Chess team representing her native Country Venezuela in more than 35 countries around the world. World Championship, Puerto Rico 1989 3rd Place. Pan- American Championship Brazil 1990 1st Place. “Athlete of the year” by University of Carabobo. National Award “ Jose Felix Ribas” awarded First Class. “Excellence award “Judith Polgar” given by Oil Tanker Company P.D.V.S.A , Venezuela. Chess classes Available :Online, Personal, Group and Chess in the Schools Programs. Based on enrichment classes of 1h each before or after school hours. Schools registration for Fall/Winter 2018 and Winter/Spring 2019 for our current programs are Open now. The Class is held once or twice a week for 1hour for a period between 12-16 weeks depending on your selected school program. All the Information about our Chess summer camps (Registration, dates,location, cost, activities) are available thru the link of the Schools that it will be held. WIM, Dr. Carolina Blanco has been a speaker at different corporate meetings that have used the game of Chess as Professional Networking Event. Among the activities that can be performed are: Master Chess Class, Chess Simultaneous exhibition, Blitz and Rapid chess tournament among conference participants.